My post originally started out – All About The Guitar. I started writing and thought I would begin by including some of my own experiences with the Guitar. The original Quest in wanting, needing and the desire for learning to play an instrument. Read on or scroll down for some links I have found for The Guitar. As a very young child my dream wish was to own and play the Piano. I remember constantly hounding my parents forever about this and getting into strife over it many times over. After an eternity or so it seemed, finally they relented and bought me an Acoustic Guitar with steel strings. This was the best present ever. My very own instrument. A Guitar you say what happened to the Piano ? At the time I know they couldn’t afford a Piano. They also believed it was just a passing phase I would eventually outgrow. I’m happy to say I never have and never will. Guitars are a wonderful instrument and bring enjoyment to many others like myself all over the world. A Guitar can speak any language and be used in all forms of music. They are extremely versatile, you can learn to belt out a tune quickly and of course transportable. The Guitar wasn’t what I wanted, however I didn’t give a toss right then. The guitar was mine and I finally had a real instrument. This was a defining point in my early years. My love of the Guitar and the strings was born. After driving my parents crazy with my wild strumming. I can only imagine it must have been awful. I distinctly remember the joy I felt when told I could start lessons at Primary School. Only to have it crushed when arriving at school with my permission slip. I still have vivid memories of being asked to hold up my hand to show the teacher and her telling me. “ I’m sorry I believe your hands and fingers are too small to play“. This made me even more determined to prove her wrong and I convinced her to let me at least try. I remember her sitting me down and showing me a couple of chords from memory they were C7 and G. Not an easy task for someone who has never tried before. It hurt like hell but I was not going to fail. I managed to stretch my little fingers much further than she thought I could. This was enough for her to decide to let me go ahead and so began my learning curve. Reading & playing Classical Guitar. Learning the Art of Finger Picking and growing those weird painful calluses on my small fingers. My parents would send me to my room to practice my Guitar Chords and never seemed all that interested. Or were they totally consumed by other family matters and relieved I was finally quiet and occupied elsewhere. You don’t really appreciate your own time till you have children, maybe this was part of why they seemed not to care. This was of no concern to me. My wish had come true. Not a piano but by then it didn’t matter. Now it was totally up to me to learn and play to my hearts desire. This is exactly what I did. I was adamant in my agenda and would prove to them all I could play well. It didn’t take too long to kill my guitar. The trips to and fro school in a pillow case was probably the main reason. Thinking back now it must have looked pretty silly but I didn’t care. I received a new Guitar for the Christmas before going to College. Wow I remember looking at it and feeling really pleased with myself. It was a Yamaha Acoustic with Nylon Strings and a proper carry bag. I knew then the neck was way too big for my hands and wondered how I would cope. It was much harder for me to play but I didn’t care it was so much nicer and I still have and cherish this guitar today. I was all ready to show off my skills at College sadly that’s not what happened. As far as I can recall the College only offered Piano & Singing with extra classes outside of the standard lessons. How could they not have any Guitar. I was heartbroken. I suppose that’s how times have changed and how schools now acknowledge the many benefits of having a dedicated music and instrumental program with extra lessons available for many different instruments to choose from. Most public and private schools now offer this. My parents decided if the school couldn’t give the lessons then that was the end of it no more discussion. I sourced where I could go for lessons after school I hadn’t given up yet. The answer was still a flat NO. Why buy a child a new guitar and suddenly not let them learn. It didn’t make sense to me then. More than likely it was financial, being a selfish kid why would I think that was an issue. It never crossed my mind it might have been just too expensive. Without any encouragement coming from my parents and no way to pay for lessons I put my guitar away to sleep for a while. Instead I threw myself into all kinds of sports, as you do at that age. Strangely this is something my father was actually keen for my sisters and I to pursue. So sport it was an d I enjoyed that too. Still now and then I would have that nagging urge and retreat to my room and play. Somehow playing was soothing and making up tunes and trying to work out hit songs was a buzz. I still love to play when I can and am grateful for being exposed to this beautiful instrument. As I got older I began to understand. It was just a matter of waiting until a I was old enough to leave and afford to do it for myself. This is exactly what I did and have done ever since. I now own a beautiful collection of Guitars consisting of Bass, Electric and Various types of my favourite: The Acoustic. Yes I finally did get my Piano and the lessons I so dreamed about. Encourage your children and to nurture their love of any instrument no matter what it is. If your child is interested it can bring you and them so much pleasure and happiness. Sometimes they are not sure what they want to do. Let them explore and experiment a little. Don’t push them into a corner because it’s what you want. While they are at school is the perfect opportunity for them to trial out different instruments offered. You will soon know if they love one over another and whether they are willing to commit and accept the practice required to achieve their goal. Push them but not too hard. Be supportive even when it all goes to belly up. It’s vitally important that they still enjoy the experience. Once it becomes a chore it’s pretty much all over rover chances are they will not continue later in life. Always remember it’s their need not yours for them to play. If they have the passion, they will love what they are achieving. Discuss with them and allow them some freedom to explore other avenues of their musical talents. Give them time to breathe, sit back and relax once in a while. Remember the key ingredient to a wonderful musician is they love to play it. To truly shine requires a real passion for it. Everyone has an ability to learn and yes if they practice enough will become proficient. What makes some stand out from the crowd. They live and breathe what they do. For me at the end of the day all I ever wanted to do was to play something. I chose the Piano because I was in awe of anyone being able to play and loved listening to this delightful instrument. That said the guitar became my first love by default. I will try just about anything that has a set of strings. 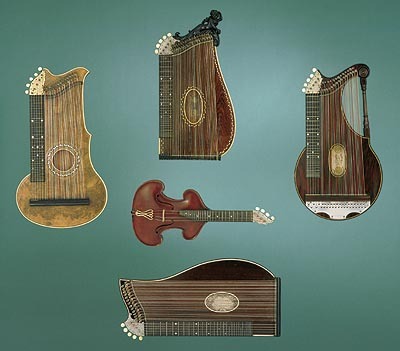 I ‘d love to get my hands on a zither. Now that would be an interesting adventure. Today I’m still experimenting. I’m limited right now I have injuries on both hands. This has not stopped me from enjoying and seeking out new avenues to quell my wish to play something. If you love music or playing you will always find a way. 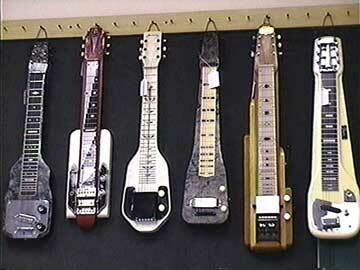 A Lap Steel Guitar being one of my later acquisitions. Even though I can’t play them now. I could and I haven’t given up on being able again some time soon in the future. I suppose I’m trying to say it’s never too late to enjoy an instrument. Looking at my collect ion still gives me wonderful memories of what it was like to play them all and this makes me feel happy. I look forward to the day I can play again and relish in that thought. So why not get together and play for your friends. You’ll be amazed at how many people you find along the way that do play. Maybe they never ever told you about their talents. Maybe they’re just waiting for the right moment. Or maybe for someone to ask. Did you ever learn to play a musical instrument? You never know you may just bring someone back to actually wanting to play again……………….. Here are some fabulous links to articles that I found.